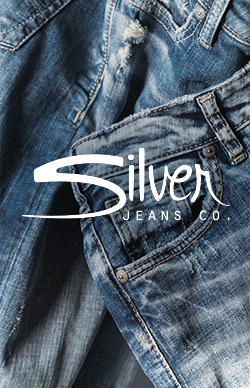 Careers at Silver Jeans Co.
At Silver Jeans Co.™ we believe who we are is as important as what we wear. We believe we are defined by our actions. We believe in attention to detail. Our mission is to weave the passion of our handcrafted jeans into the story of your life. Be Present, Be Inspired, Be Authentic...Be Silver.